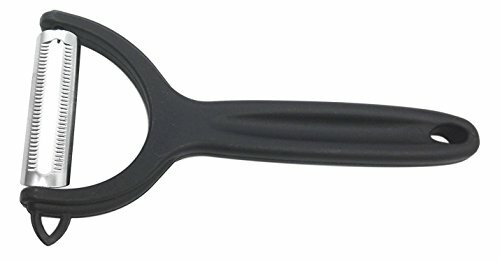 The OXO Good Grips Serrated Peeler easily peels skins off waxy and slippery fruits and vegetables. The sharp, serrated, stainless steel blade is ideal for peeling peaches, plums, tomatoes, zucchini and more. Soft, comfortable non-slip handle. Dishwasher safe. 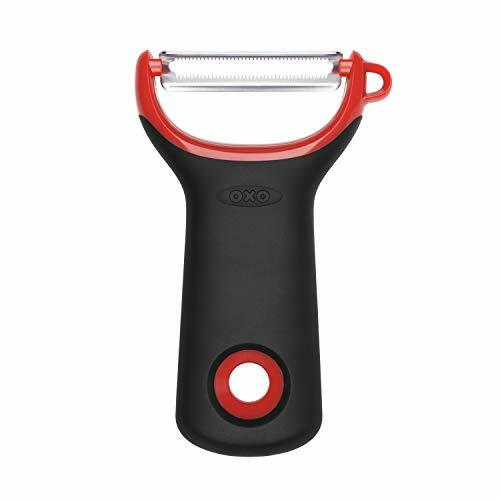 Whether you’re prepping soft produce like tomatoes or fuzzy fruit like peaches or kiwi, the OXO Good Grips Serrated Prep Peeler sails through skins and makes peeling a breeze. We took the best features from our original, iconic peeler and incorporated them into a new compact design made for fatigue-free peeling. With an easy-to-maneuver shape, sharp, rustproof, Japanese stainless steel blades, an ergonomic non-slip handle, and dishwasher-safe construction, you’ll reach for this Peeler for years to come. Colour:(Black)Package Quantity:(1pack)Peel fresh fruit and vegetables with this peeler from CGTime. Made from high carbon stainless steel, the blade is durable and long lasting. 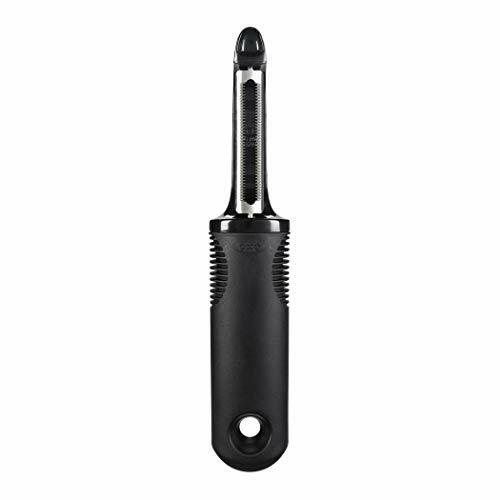 The black ergonomic polypropylene handle provides a secure grip, and is hygienic and slip resistant. It is super lightweight for effortless peeling and is great for preparing apple pies and potato dishes. 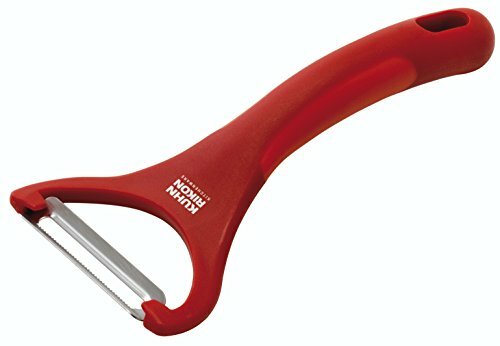 This peeler can be used equally well with the left or right hand. 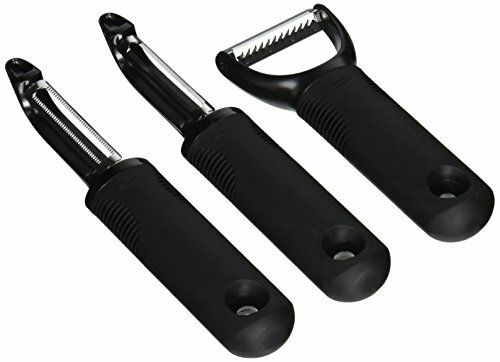 Be prepared for any meal with the OXO Good Grips 3 Piece Peeler set. 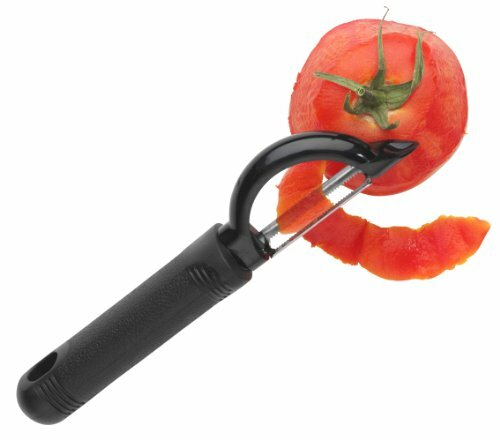 The Serrated Peeler features a sharp, stainless steel blade perfect for effortlessly peeling soft fruits like tomatoes, peaches, plums. When working with firmer vegetables like carrots and potatoes, the Swivel Peeler has a sharp, stainless steel blade that glides through the toughest skins. 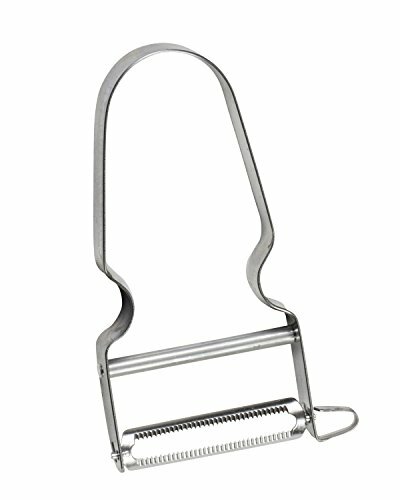 Garnish your meal with the Julienne Peeler. Sharp, stainless steel, julienne blade makes perfect strips of firm fruits and vegetables to decorate your favorite recipe or for your favorite salad topping. Each peeler has a soft, comfortable grip that is non-slip, even when wet, making them the perfect kitchen companions. Since 1888 family owned Rosle has been steadily producing the best tools and utensils in the world, from their home in the Bavaria region of Germany. Each Rosle product joins design and function in perfect harmony. 18/10 stainless steel is used in production providing a professional utensil that is not only aesthetically pleasing, but hygienic, neutral to flavors and odors, and easy to clean. During the development phase - which lasts from 1 to 2 years on average - each product goes through a trial period where it is critically evaluated by cooking schools and professional chefs. During production, Rosle utensils go through an elaborate manufacturing processes and only leave our premises after passing strict quality control. Professional and home chefs alike sing the praise of this integrated collection, widely recognized as the best on the market. With German design and unrivaled material, Rosle continues to receive prestigious design prizes and a growing list of awards.